How Do You Find a Good Podcast? I confess: I’ve unsubscribed from more than my fair share of podcasts. As I mentioned recently, I spiked my podcast before letting it out. I didn’t like it. It was perfunctory and, while informative, wasn’t very entertaining. And by “not very entertaining” I mean it wasn’t entertaining at all. 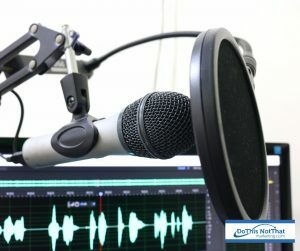 So I’ve been doing more research, trying to get better, when I ran across this interesting article on promoting a podcast. I wouldn’t want to watch every episode, but I think it would be fascinating to watch someone creating their podcast. I think Cliff Ravenscraft (The Podcast Answer Man and an all around excellent human being) does a great job of pulling back the curtain and showing us how he works. So what about you? How did you find the podcasts you listen to? What keeps you listening? And if you unsubscribe, please comment tell me why.